Europe is a wonderful continent. Culturally & geographically diverse and incredibly easy to navigate from the Arctic to the Mediterranean or even the Atlantic to the Pacific. The best way to explore the region is by train with a vast network of train tracks criss-crossing the continent, connecting amazing cities and countries. Arm yourself with the European rail timetable and salivate over the possibilities! Spain has invested heavily in recent years on high speed rail and lavish stations. Journey times have been slashed as a result of the introduction of the mega fast AVE (Alta Velocidad Española) trains. In 2000 whilst on honeymoon, we travelled from Barcelona to Madrid in around six hours on the TALGO, which was at the time the fastest train in Spain. Today the same journey takes precisely half as long. Having done a few single Spanish train hops in the intervening years (Madrid to Toledo, Barcelona to Montserrat, Denia to Alicante) we embarked on a two week tour in 2011. 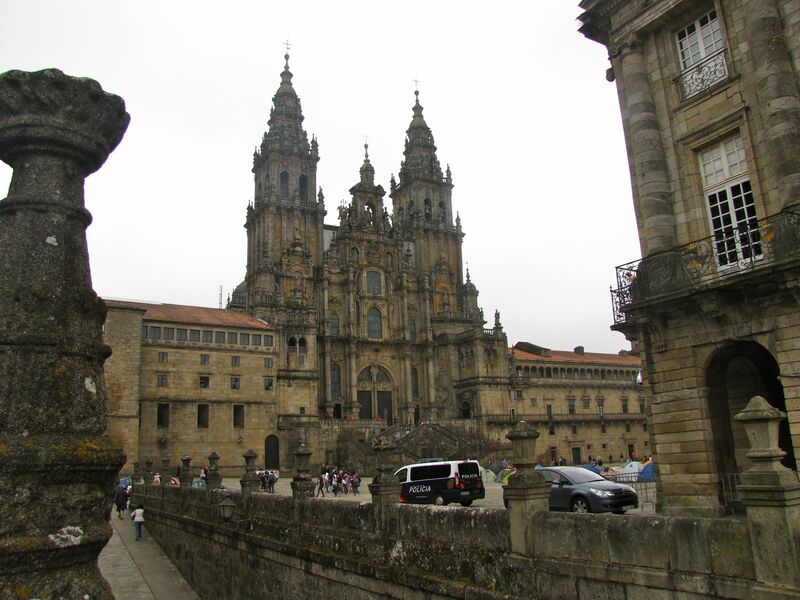 Our budget flight took us to Galicia’s premier city of Santiago de Compostela (Star of St James) situated in the North West corner of Spain, where we spent three atmospheric days in early June. Most famous for being the main destination on the Camino de Santiago (Santiago Way), the 780KM Catholic pilgrimage route from near Biarritz in France. Santiago is also a great city to visit for those intent on a less energetic arrival. 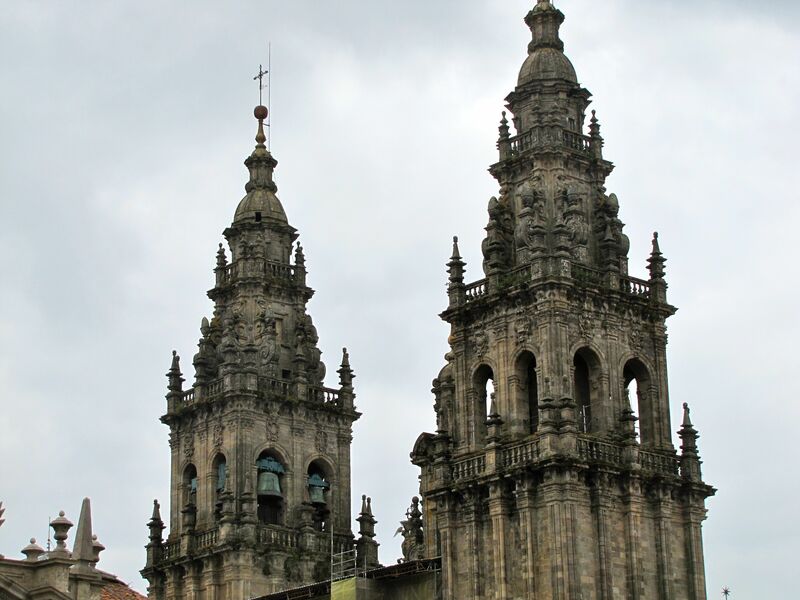 The enormous Cathedral of Santiago (Saint James) is a wonder of Europe. The building of the present structure started in 1075 and is around 100 metres long. On a recurring theme, there is a real medieval feel about the place, not least due to the vaulted stone verandas that traverse the old town giving handy shelter to the frequent rains. The whole city oozes spirituality. The weather was commonly cloudy for the three days we spent there, but this absolutely expressed the mood in an entirely positive way. In a move away from contemplation and deep thought, there are some great tapas bars and warming cafés to lighten the mood. From Santiago we took the overnight train to Madrid, a journey that was memorable for my first ever on-board shower and Mrs Wilbur’s first ever sleeping (or sleepless in her case) car experience. See Spanish Couchette for more details of the journey. We arrived at rush hour and needed to get across Madrid – not the easiest task with large bag in tow. Having already visited Madrid a few times, we headed straight for Córdoba. A tired Mrs Wilbur plugged in her complimentary headphones and snoozed for the majority of the one hour 45 minute journey. As we sped southwards, the landscape became noticeably flatter and less verdant. Córdoba itself didn’t disappoint in the slightest with the Moorish Mezquita and impressive Alcazar the undoubted highlights. From the moment we checked into our ultra cheap and colourfully furnished apartment, we knew we were in for a great time. The Mezquita is particularly spectacular with its internal web of red and white arches spanning its entirety. 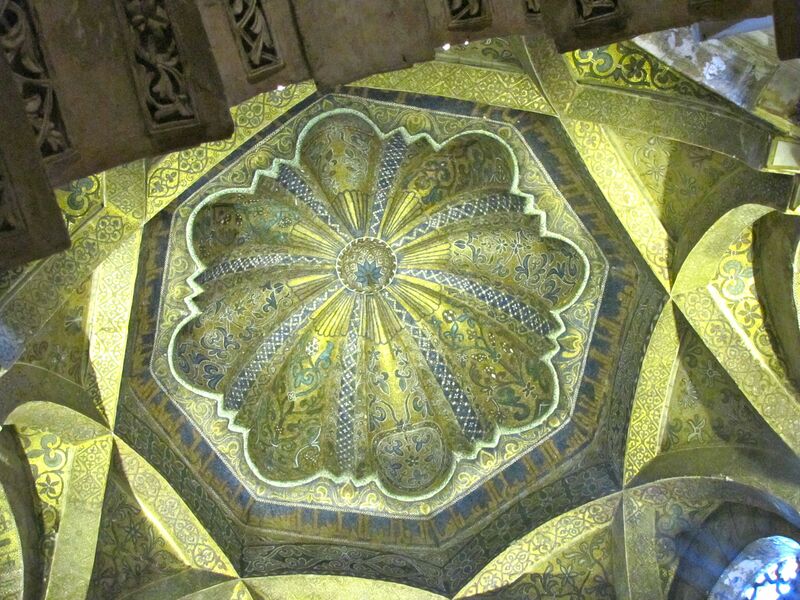 The mihrab is ornately spellbinding. A catholic church has invaded some of its space. Sacrilege really, but adding to the unique nature of the place. The Alcazar is a fine building in its own right, but it is the gardens that are the delightful highlight – easy to get lost for a good couple of hours. For the ghoulish, you have the torture museum with implements dating back to the Spanish Inquisition (I was horrified to find out what an iron maiden was). In June when the whole place was a riot of colourful flowers. We took in the amazing show at the Spanish Riding School too, but avoided the temptation to see second rate flamenco with better surely to come. We returned to the sparkling new station to head further 3 hours south to the ancient Mediterranean city of Cadiz for a four night stay – two nights in a beachside hotel that looked across golden sands to the deep azure Med and two nights in a crumbling former merchant’s mansion in the eclectic old town. 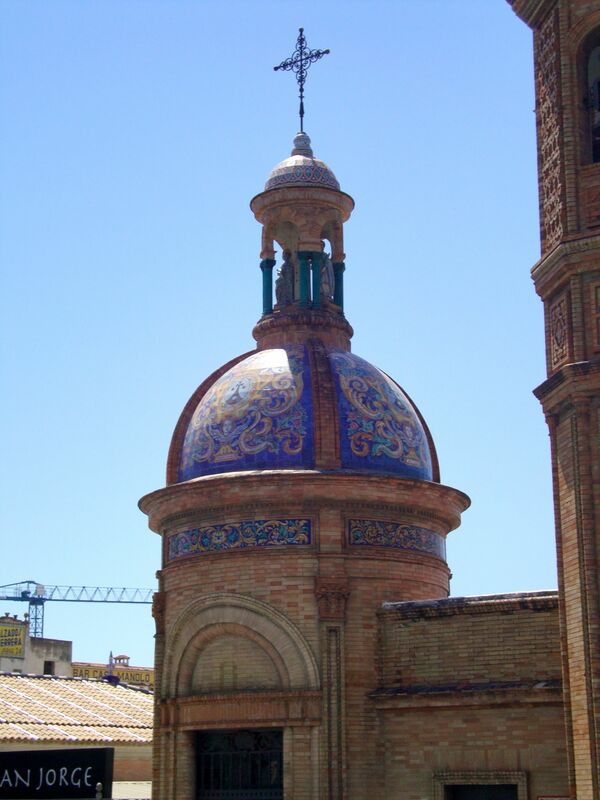 Ever since I saw a picture of Cadiz’s golden domed cathedral in a magazine, I wanted to go and visit. I was not to be disappointed. The clamber to the top of the aforementioned dome and the spectacular view of the city surrounded by the sparkling blue sea was indeed a highlight. ent barrio, an area that appeared to have stood still since the times of press gangs & pirates. Cadiz is also home to some very fine sandy beaches and an unfussy retail centre with very acceptable bars and restaurants. Add to that the fact that Cadiz is the perfect city base to explore the sherry bodegas (distilleries) of Jerez & Santa Maria, as well as the picture perfect Pueblos Blancos (white villages) and it all makes a great destination. We visited Terry’s sherry & brandy bodega in Santa Maria, a lovely setting, interesting tour and very acceptable tasting at the end. We also took a bus trip to one of the white villages called Arcos de la Fontera. This was a lovely spot for strolling in the shady streets and taking an al fresco lunch in one of its shady courtyards. Our final destination was for me the highlight of what was a truly wonderful trip. Sevilla, the home of flamenco, oranges and the oldest tapas bars in Spain. The AVE sped us the 130 km in under ninety minutes. Money had again been well spent here as evidenced by the magnificent glass and metal train station. Our simple yet comfortable apartment was just fifteen minutes walk, just as well as the temperatures were in excess of 40 degrees. We were smack bang in the old town and amazingly I managed to follow the intricate maze of tiny thoroughfares to locate our yellow painted home for three nights. I am lying of course! My terrible map reading skills are legendary so it was a great fortune that I had to collect the key from a local mini-market from where we were guided by a stout mature lady who spoke no English and bustled along twice as fast as we could walk in the energy sapping heat. We managed to follow her shadow as it was dragged by its host around corners and seemingly through dead ends. We soon made the coolness of our abode and were delighted to have been left fresh and refreshing orange juice in the fridge. From the magnificent cathedral to the exquisite Alcazar to the beguiling, inspiring Museum of the Flamenco art form and everything else in between, Seville scored top marks throughout. We had a lot to pack into three days, so started with the Acazar, not dissimilar to its namesake in Cordoba and the wonderful big brother Alhambra. On a recurring theme, we were again treated to intricate Arabian architecture and immaculate manicured gardens, with paths leading off in all directions and small fountains with waters sparkling in the heat. Time for a drink and to experience the common Seville occurrence of being sprayed with fine cooling water as we consumed our beverages. Very thoughtful and most welcome. During our visit we also took in the simply enormous cathedral, visited the ceramics district of Triana across the bridge from the centre, which is stuffed full of shops selling colourful homeware, took a boat trip down the splendidly named Guadalquivir River, viewed the beautiful bullring & the 13th century Gold Tower (Torre del Oro) and generally enjoyed strolling the pretty streets. 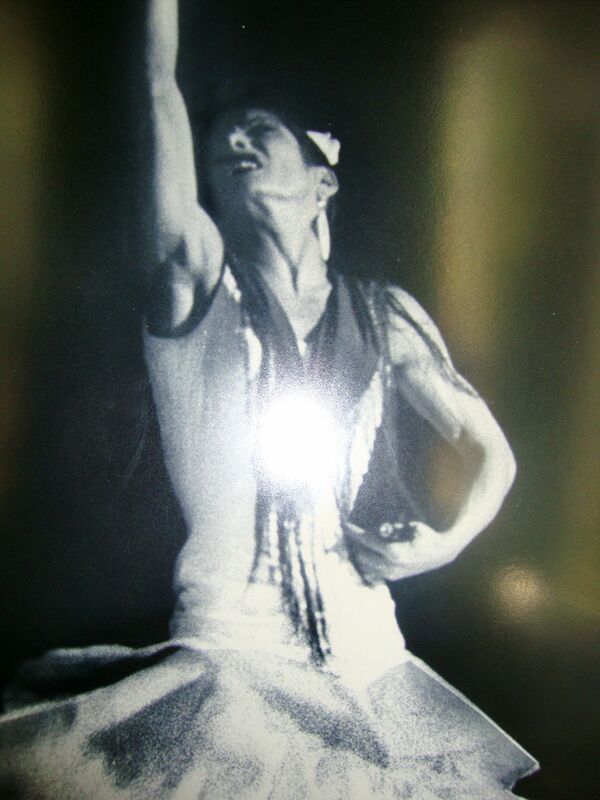 Flamenco – we visited the hugely enjoyable flamenco museum with exhibits including a gallery of photographs showing dance stars from several eras, paintings depicting the passion and drama of the art form, plus costumes worn by flamenco royalty. The highlight was served last. A stunning flamenco show put on by some of the best exponents of the art anywhere in the world. The dancers stamped and flailed through some highly energetic routines, the ladies beautiful flowing dresses creating a whirl of motion in orange, red and black. The guitarist was clearly a highly accomplished musician as his hands kept time with the whirling dervishes front stage. This was flamenco at its absolute best, thankfully we saved the undoubted master until last. Tapas – we ate in two of the oldest tapas bars in Spain, a real food event on both occasions. The first was called El Rinconcillo and the second Las Teresas. El Rinconcillo is said to have opened in 1670 and purports to be the oldest restaurant in Spain. Whether that is precisely true or not, the place just oozed atmosphere. We stood at the bar to eat and drink and the food was wonderful. Waiters and bar staff were really attentive despite being very busy, never resting for a moment. Each dish we consumed had its price chalked up on the bar in front of us, to be totted up when it was time for us to reluctantly leave. Las Teresas also had hams hanging from the ceilings and was equally atmospheric. The quails eggs on toast remains one of my favourite ever dishes. 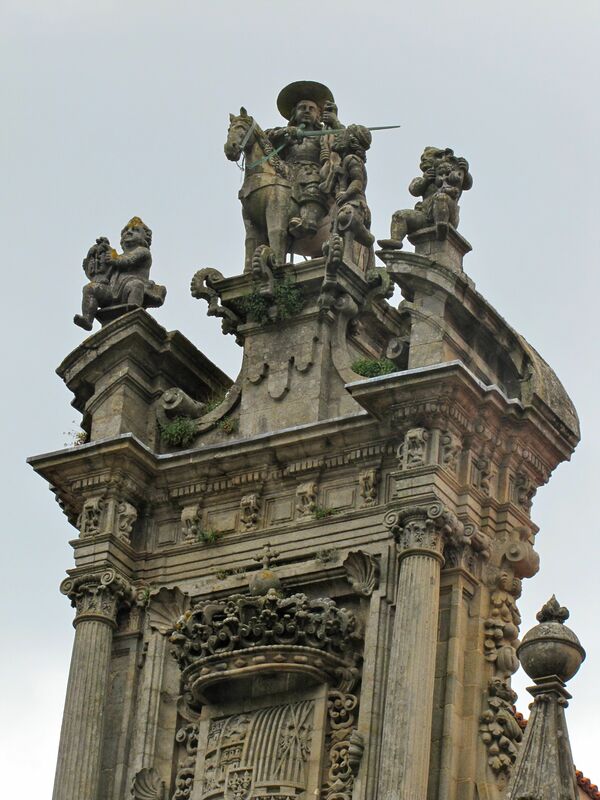 I hope that this piece gives you inspiration to piece together your own Spanish itinerary. Spain has fabulous and wonderfully diverse cities, mini states in their own right. You can read about my travels in many of great destinations there by clicking on ‘Spain’ on the Wilbur’s Travels home page. Spain is such a stunning country, isn’t it?! I love visiting Spain and it sounds like you were able to see so much of the country on your trip! An amazing country with so many wonderful cities. Coast and islands not bad either! Cadiz is brilliant, probably the ‘earthiest’ of Spanish cities I have visited but with golden beaches thrown in too. A blessed country. Always recommend the train. Fast and stress free! It’s hard to go wrong in Spain! I have been in that tapas bar in Seville. I love the line – it was busy in Madrid so we made straight for Cordoba – you make it sound as though it is in the next street! Tough question – which is your favourite Spain city? I keep changing my mind! I think it has to be Seville but I love wherever we go. Good pick. I have just returned from Spain. Went to Alicante – much nicer than I expected! I liked it too – great train along the coast to Denia. I went South to Cartagena.